Designer Andrew Fezza announced today that Andrew Fezza Ltd. has signed a licensing agreement to launch and market the Andrew Fezza brand for women’s apparel commencing for Fall 2017. 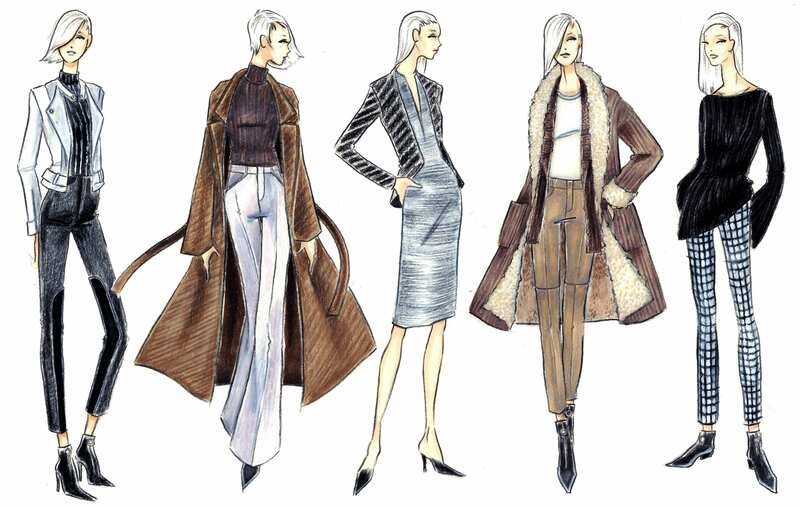 The Andrew Fezza Women’s Collection will be licensed to Guotai International, a company managed in New York by Colin Tanenbaum and David Tanenbaum, for distribution in the United States and Canada. Designer Andrew Fezza, well-known for his innovative menswear, remains true to his design philosophy in this new line, blending European styling with a sensibility toward the fast-paced lifestyle of American women. Fezza has won numerous awards for his design talents, including a CFDA Award, a Chrysler/Cartier Stargazer Award, several Cutty Sark Awards, and a Coty American Fashion Critics Award. For Fall 2017, Fezza has collaborated with Guotai International to launch a broad lifestyle collection of womenswear geared toward the woman who is looking for a blend of innovative design and classic styling. The collection will consist of all sportswear classifications, tailored career clothes and active inspired streetwear. Inspired by his distinctly refined menswear style, the women’s collection will be the fitting counterpart to Fezza’s signature approach to design. The womenswear collection will offer a variety of fabrications and range of price points from bridge to better that will allow it to reach a broad customer base via fine department stores, e-commerce retailers and specialty stores. Andrew Fezza Ltd. is the licensing entity that owns, manages, and markets the Andrew Fezza brand and its related trademarks. Currently, products bearing the Andrew Fezza trademark are produced by companies such as Peerless Clothing, Lanier Clothes, Orientex International, Gentry Neckwear and BAK Children’s Apparel. Andrew Fezza licensed products are distributed to specialty stores, department stores, e-commerce retailers and retail chains.